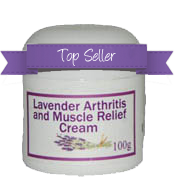 Lavender products delivered to your door. The Lavender Farm (located in the grounds of Pottique just outside Kingaroy, Queensland) has the largest lavender shop in Australia. 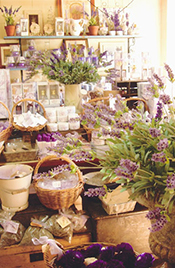 Their warehouse is bursting with lavender products including dried lavender, oil, soap, jams, chutney, liqueur along with french countrystyle homewares and antiques. While you are here, enjoy our famous lavender scones in the pleasant surroundings. Our secure online store has the most popular products listed (the ones that everybody loves) so you can fill your home with the beautiful aroma of lavender anytime. With Australia wide delivery now available, there is no reason to wait until your next visit - order online today!. What to do when you visit the Lavender Farm? It's free to visit the Lavender Farm ! There is no cost for you to come and visit the Lavender Farm. We would love to have you drop by, wander through our shop and antiques warehouse along with enjoying a relaxing time in our gardens. Open Saturday and Sunday 10am to 4.30pm.